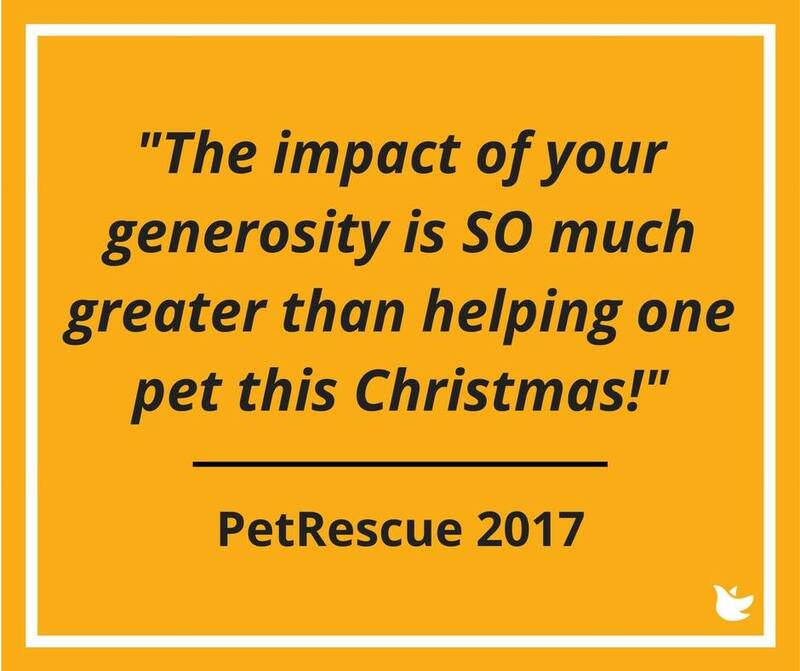 "....PetRescue has over 950 rescue group members relying on our vital free support services..."
To realise our vision of finding a forever home for every rescue pet, we deliver a whole raft of amazing campaigns, marketing and programs. We also run a website that’s second to none, bringing 20,000 people online, every single day, to look for a rescue pet. ... it is possible with a simple new year's resolution. To simply refuse all of these extra programs. 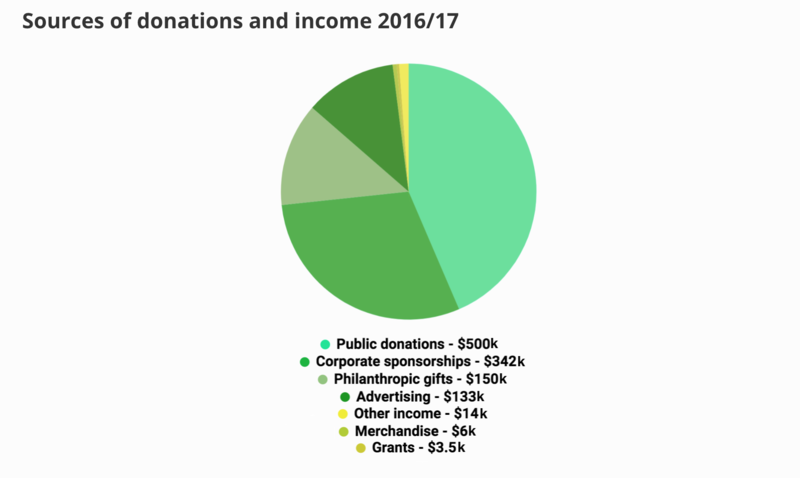 PetRescue claim millions of dollars in "direct benefits” to rescue, based nearly entirely on large product donations from PEDIGREE. They then use this claim to then solicit your applicants and adopters for the donations that should in fact come to your group. This is not a fair trade, and rescues should recognise these “free” food donations are anything but free. Opt out of food donations immediately. A few dozens flights each year doesn’t impact most groups. But if you need to send pets interstate, avoid the PetRescue relationship with Jetpets and seek out another provider. The Adoptables is the major fundraising campaign for PetRescue. Last year, using the stories of special-needs pets, the organisation allocated just shy of $180,000 to themselves, and adding new “features” to their website. Set a note in your diary to send PetRescue an email reminder at the end of May and ask to be excluded from this campaign. 'The Adoptables' campaign solicitations sent directly to applicants and adopters in 2017. The National Pet Adoption Day is held early in the year, and is the event which cements the corporate relationship between PetRescue and PETstock. You take your rescue pets to a store and volunteer there all day, and PetRescue banks a big corporate donation. Over 50% of PETstock team members give weekly to help PETstock assist's major charity partner PetRescue. In-store adoption is great and its wonderful to have your own relationship with a PETstock store throughout the year. Just don’t participate in this day. The Matchmakers project is designed to allow PetRescue to collect in-depth information on your applicants and adopters for their charity solicitations. You might not be able to opt-out, but you can advise your community that PetRescue does not collect donations on your behalf. Be sure to make that very clear as PetRescue is doing everything it can to blur the lines between rescue groups and themselves. More info on your adopters mean more opportunities to target them for PetRescue's donation solicitations. 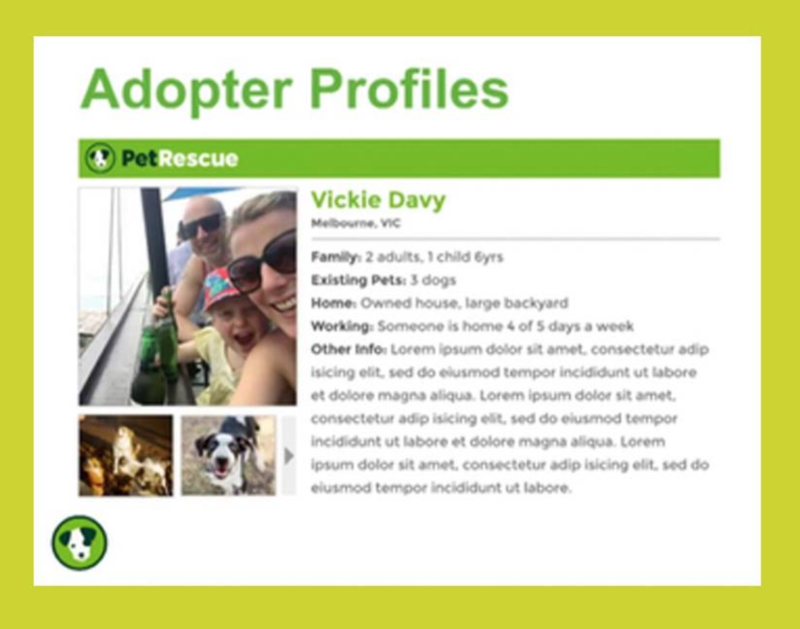 Your clients, your resources, captured by PetRescue. PetRescue should not be acquiring or recruiting volunteers on your behalf. It simply gives them too much credit for the success of your work and further blurs the line between them - a website - and your own organisation. Safe and Sound Pounds project resources have been abandoned and replace with the annual sponsorship of the AIAM Conference. A handful of dogs each year are placed through this program, but gives PetRescue the social capital it needs to tell people that they run a boots-on-the-ground adoption program. Don't lend your animals to PetRescue's exercise in self-aggrandisement. $25 cat adoptions can work for some rescue groups. For many groups it is an unmanageable drain on their resources. Do not participate in PetRescue’s version of this promotion, regardless of your situation. Directing donations is a massive overreach for a for a website. But that can only happen if rescue groups are willing to allow it to happen, by accepting those donations. Do not give PetRescue permission to fundraise on your behalf. Petcare goods are helpful, but aren’t an acceptable replacement for redirected donations. Opt out of product donations. If offered, politely refuse. Does PetRescue support you during crisis? They tell people they do, when soliciting donations. Opt out of these programs. 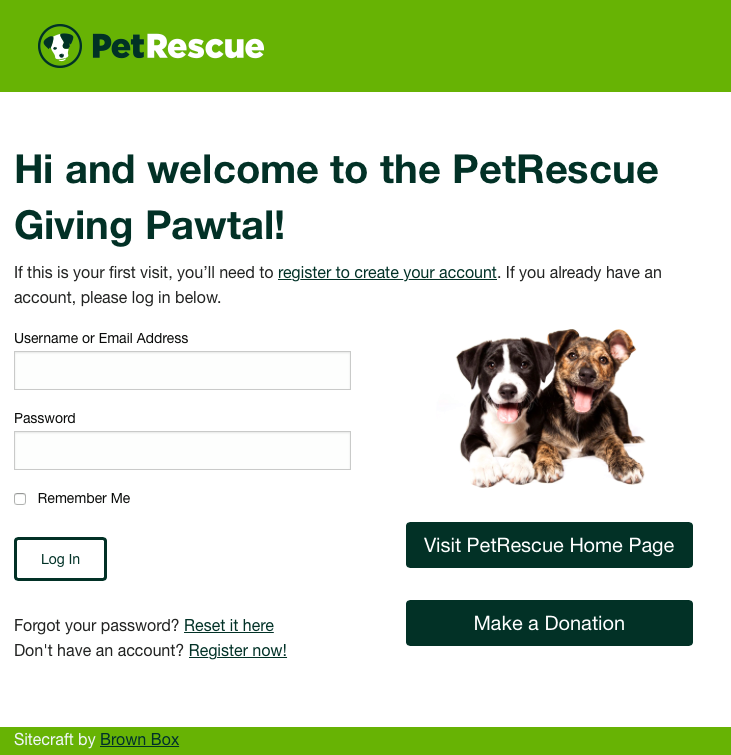 PetRescue host events, generate media on the back of these events and translate that into donor solicitations. Overstating their role in rescue events gives them leverage which is easily taken away; simply don’t attend PetRescue events, and don’t participate in their media, corporate events or photoshoots. 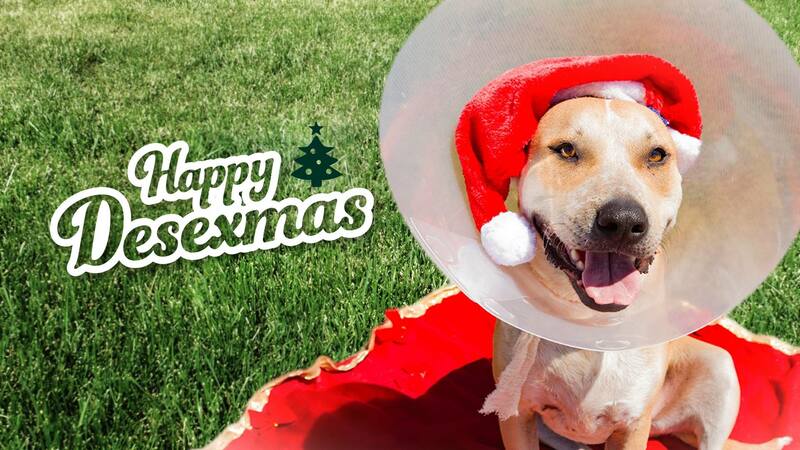 Desexmas - a "desexing program" where no pets were desexed. Social media is entirely managed by rescue groups themselves. 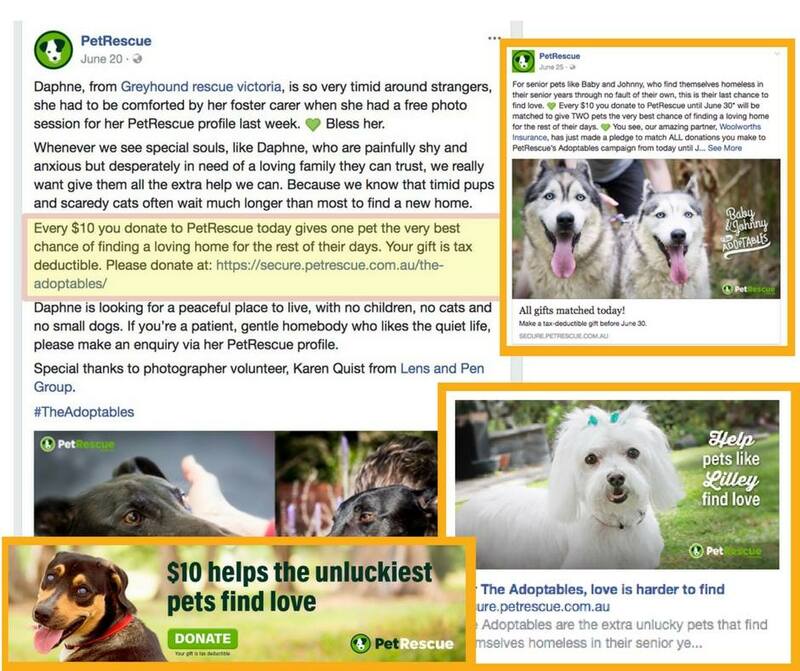 Opt out of PetRescue social media posts and do not ask PetRescue to promote your pets. PetRescue do not provide your volunteers, nor recruit them on your behalf, so do not accept volunteers from PetRescue enquiries. Politely decline any applicants they send your way. PetRescue are not in a position to offer your group advice. Do not allow your group to be interviewed for their “resources” - do not answer their requests for extra help from your group. Helpdesk enquiries are a way of PetRescue coordinating your group to do their work for them. They use these successful interactions to demonstrate their relevance to the rescue movement. Simply delete all requests from PetRescue for assistance, no matter what the topic. PetRescue use surveys and statistics to speak on behalf of rescue groups, while always working to benefit themselves over rescue groups. There is little groups can do about this, except refusing to participate if invited to give input. Beyond deciding to opt out of these programs, your group can take the extra step of proactively informing PetRescue that you would like to be removed from the programs which they use as a basis for justifying their inflated operating costs. However, we would like to opt out of any and all other promotions, services, communications and offers from PetRescue. This includes; Food Donation, Free Flights For Pets, The Adoptables, Pet Adoption Day, Matchmakers, Skilled Volunteers, Safe & Sound Pounds, Workplace Pet Foster, Meow’s The Time, Directed Donations, Free Petcare Goods, Crisis Support, PR & Events, Pets on Social Media, Volunteers for Rescue, Advice & Resources, Helpdesk and Research. We would also like make a special mention to opt-out of “Matchmakers” and “Directed Donations” as these are superfluous to our requirements. We would like to also remove our authorisation to use photos and descriptions of our animals in your promotions. To repeat, we would like to opt-out of all future PetRescue promotions and events. We would like to opt out of food donations and product donations and any other programs you will offer in future." PetRescue now make in excess of $1 million dollars a year. They have nine paid staff, with their two Directors being paid more than $140,000 per year, each. PetRescue's last three hires have been outside the rescue sphere; a new non-executive director who is a venture capitalist, a web developer to work on their new donation platform and a paid bequest/donor assistant (who is also the Director's brother). This should speak volumes about where the organsation is headed in the future. The only way for rescue groups to curb PetRescue's enthusiasm for capturing and spending your donations, is to just say no to all programs and services outside the basic website package. If all rescues refused to take the products, the advice and participate in the events, these programs would collapse overnight. 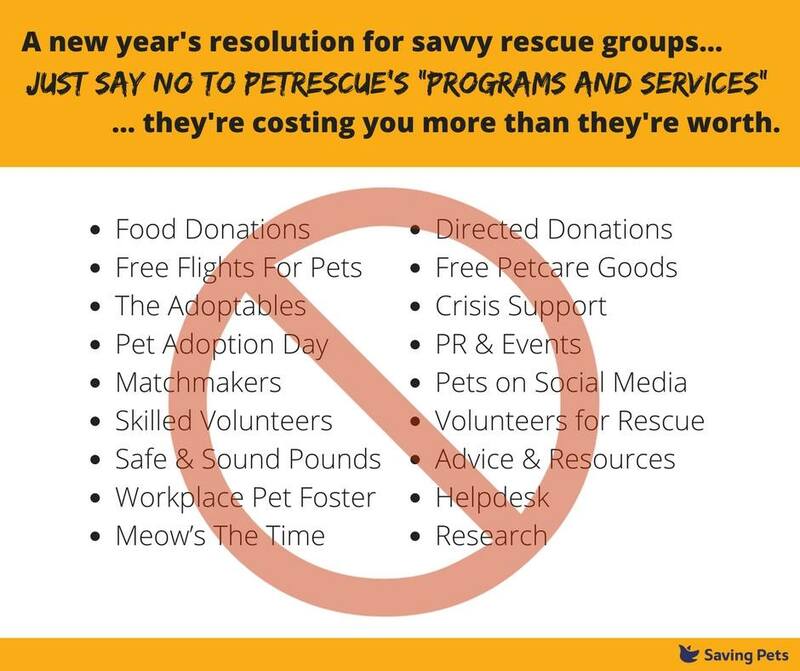 PetRescue is being allowed to muddy the waters between their work as a website, and your work as a rescue group by telling people a donation to their programs and services is superior to a donation to your group. Enough is enough. If PetRescue want to "give" you something, remember its not coming out of the goodness of their hearts - it's coming right out of your own pocket. Just say no thanks.